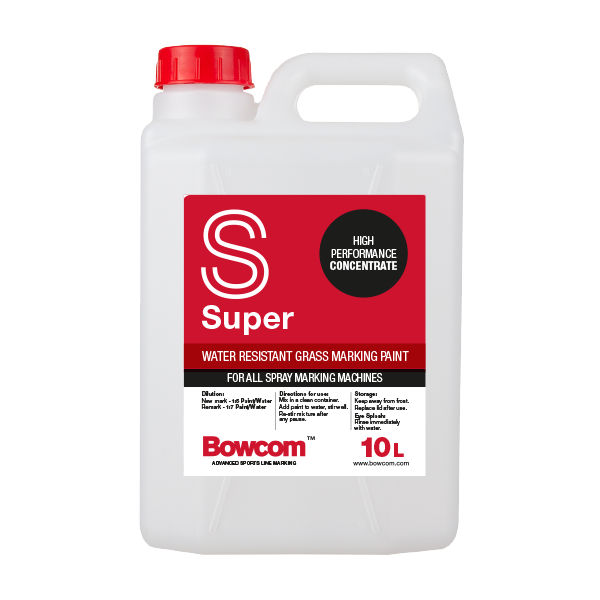 Again, benefitting from a new formulation with reduced viscosity and improved flow, Bowcom Super line marking paint remains a high quality line marking Concentrate. 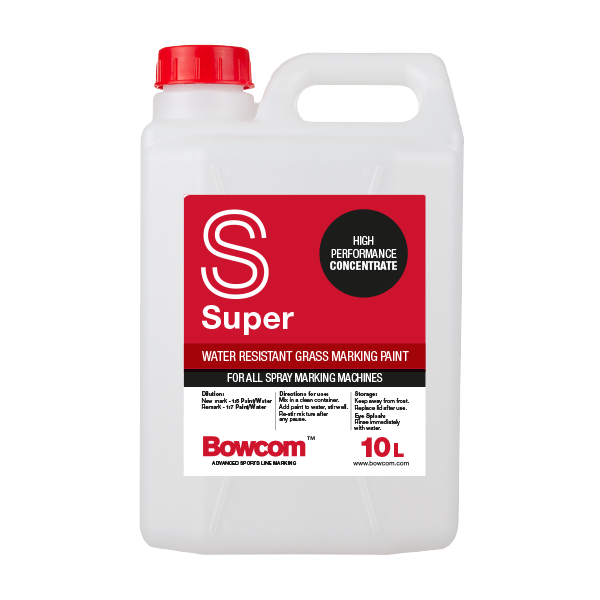 Bowcom Super is formulated to offer a combination of superb brightness combined with excellent longevity. 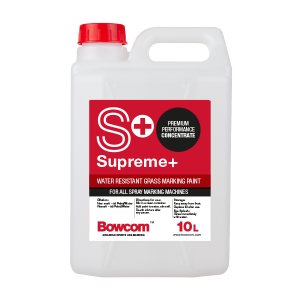 Bowcom Super line marking paint offers excellent rain resistance, reducing the necessity for weekly marking.